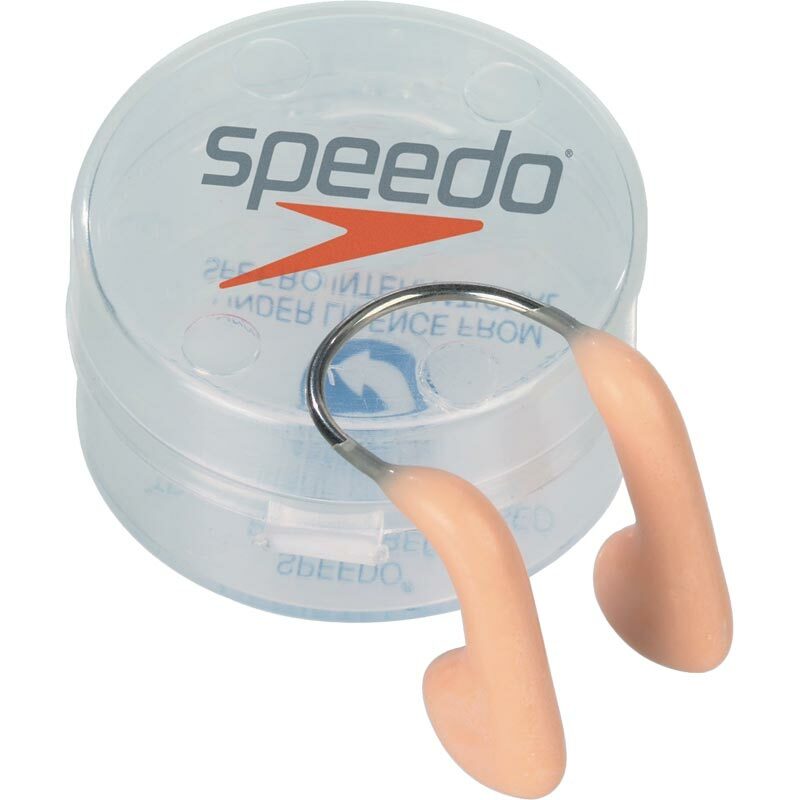 The Speedo ® Universal Nose Clip has a memory plastic frame for optimum fit and soft silicone pads for maximum comfort. Comes with a reusable case for safe storage. This nose clip has super soft silicone pads for maximum comfort. It has a memory plastic frame for an optimum fit. Comes with a reusable case. Excellent delivery and packaging. Super soft clip to the nose. Very adjustable to suit all size's. I don't know it's on. Would not hesitate in recommending this clip. Thank you Speedo. Jo.